Aluminium cylinder head with cast iron cylinder gives added resistance to wear. 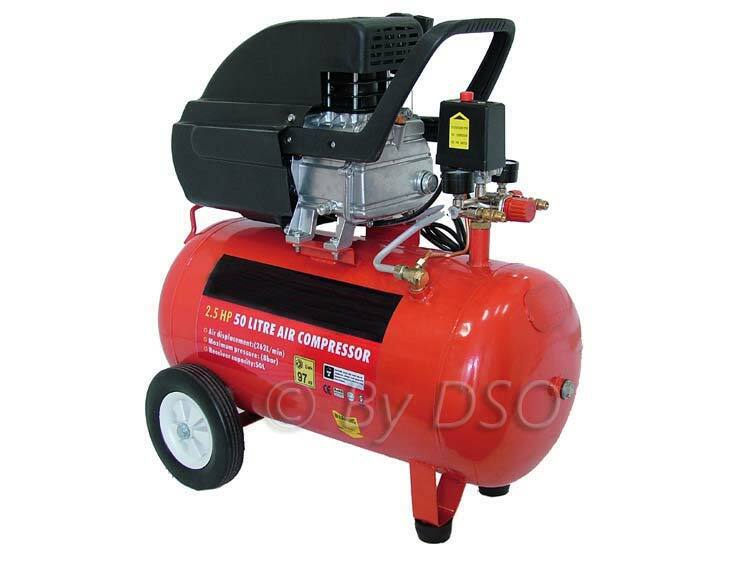 This 50L compressor is suitable for general-purpose workshop applications. The pump head is directly coupled to the heavy-duty induction motor for reliable and quiet operation. All fitted with fully automatic pressure cut-out switch with twin gauges displaying tank and working pressures. 12 month's manufactuer's warranty for personal use. No commercial warranty.